It was our first trip to Italy - and we could not have chosen a better way to experience Italy. 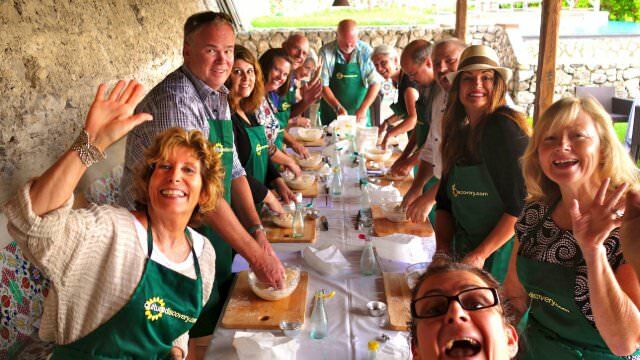 Cultural Discovery provided us with an unforgettable adventure and enviable cooking skills! Learning about a new culture is as much a discovery about ourselves as about the culture. We were well cared for, challenged and exposed to the most unusual places on the Amalfi Coast. Who knew there was a printing press centuries old in the heart of Amalfi? Who knew we were saying "Capri" incorrectly all these years? And who knew food and wine and friendship could be so delightful! It was a wonderful birthday present for my husband's social birthday, and the people who work with Cultural Discovery are considered family. Ciao!